In this post I want to share with you one of the habits I am building so that I can ultimately make my dream of owning and running a local cafe and a foundation a reality. I have always been a planner. I am not sure where exactly that comes from but I absolutely love planning, calendars and notebooks! I believe it really makes a difference, especially when you are working on a very big & long term goal. From now on I have decided that I will leave at least one day a month on my calendar especially for planning ahead to the next month or coming months. This is so helpful. Not only does it create space for creating a vision and dreaming, it also gives me a chance to look into what is working and what is not and make adjustments. I believe that just because I plan fairly far in advance, it doesn't mean that I can't make any changes based on feedback that I have gotten moving forward. 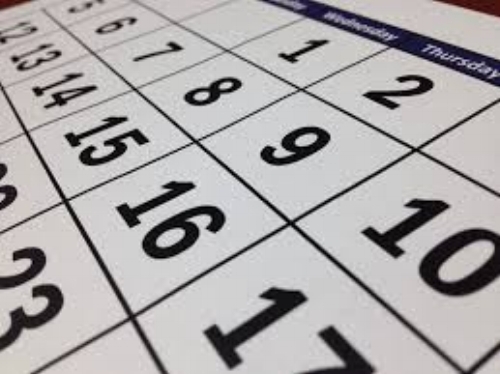 I think that it's important to "have a date" with ourselves once a month to look at the calendar, look at our goals, look at the successes and what is not working and make changes. I encourage you to make your planning day special, fun, creative and engaging so that you will really look forward to it! Before you set aside a day for your planning, take into account that even if you don't have a whole entire day that you can dedicate to planning, it is ok. Even if you can only just set aside 1-2 hours in your month to do this, it will make a big difference. You could even plan several planning time slots during the 1st week of the month if that works for you. 1. Dreaming Session: This is a wonderful start to your planning day. Take a few minutes to think about what a very successful year or month looks like to you. Imagine how you would feel. Jot down how that would feel to you and what that looks like to you: does it mean earning more? Does it mean having more free time? Take time to explore this fully. Example: One thing that I did during this session was plan out my earnings projections for 2018 and broke it down into how I was going to earn that money. It is a very useful exercise. 2. 10 Ideas: Write down 10 ideas on how to bring in more money or work more on your goal. This is very useful because if you force yourself to get to 10, you will find at least 1-2 or more good ideas in the list that you can implement. Example: I wrote down 10 ideas for making more money and I chose the best ones to put on my list/calendar. 3. Calendar it! Get or print out calendar pages that you can fill out with your ideas from step #2. I find this so useful because you are starting to make these ideas a reality once you get them on the calendar. You have set aside time for your success! Example: I decided to have an open house for clients and friends to invite their friends to see how my meal service works. It is on my calendar for January and it is also posted on Josephine.com. It is now a reality! 4. Listen to the small voices: There may be times that you think of goals or ideas outside of your planning session. If these ideas pop into your head often, it is time to take serious action on them. Write them down somewhere to come back to. Example: Lately I had the idea of getting back to an exercise routine. I thought about something I enjoyed doing many, many years ago along with my brother. We used to go to a local gym and do weight training together. I really felt successful, felt more energy and felt my healthiest during that time. I really loved it! So, I have now decided that this month I will begin investigating gyms/trainers/sessions to get back into this activity that I really enjoyed a long time ago and make it a reality by January, 2018. These are just 4 quick ideas on how you can plan ahead in your life/business and make more dreams come true! It really is much easier than we think sometimes. I hope that this post was helpful to you!